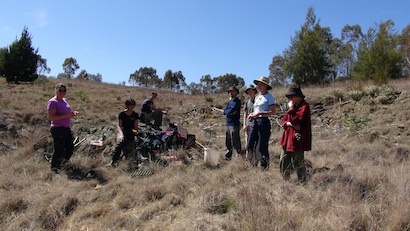 POSM are a small, informal, enthusiastic parkcare group who take care of an area on the Murrumbidgee River, from Point Hut Crossing to Pine Island, including part of Barney's Hill. 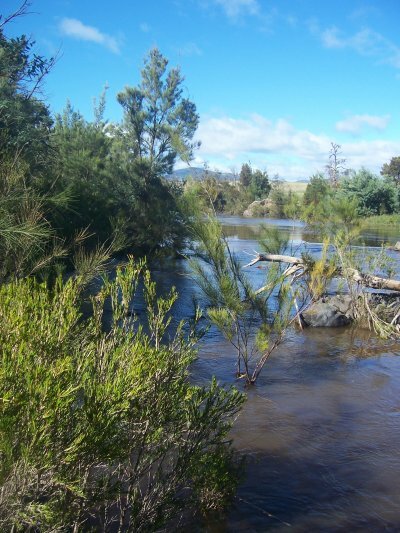 It's a beautiful area, frequently used by runners, walkers and dog walkers, and people swimming and kayaking. POSM formed in 1992 and we have members who have been with the group for over 10 years. Our activities include planting, seed collection, weeding (cut & dab, and occasionally spraying) and erosion control. We generally work with one of the rangers, at least for part of the time. 13 Feb, 5 Mar, 9 Apr, 7 May, 4 or 11 Jun, 6 or 13 Aug, 10 Sept, 8 Oct, 12 Nov, 3 Dec 2016. To find out more about an activity and to confirm where we are meeting please contact Lauren on 0478 222 238, or email lauren.carter@iinet.net.au. See links to photos at the bottom of this page. See our diary of activities for 2014 here. See our 2013 diary here. We meet for a working party once a month, from 9am to 12pm, meeting at the Point Hut Crossing carpark or at the pipeline track on Woodcock Drive, depending where we plan to work. Equipment is provided but if you have gardening gloves or a favourite tool please bring those. You'll need sturdy shoes and long pants, a hat and sun protection, and always bring water. Wearing layers of clothing works well in our variable climate. 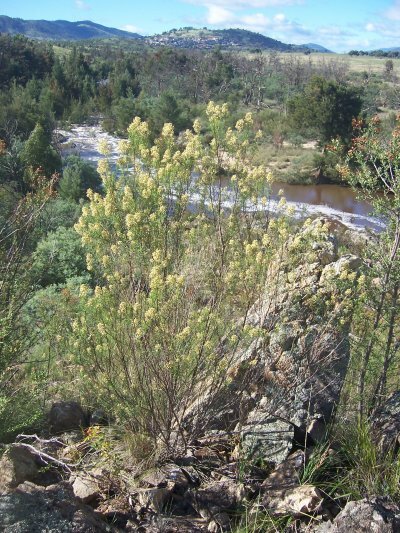 The plant diversity in the area is fantastic - from grevillias to casuarinas to eucalypts, with many small shrubs, forbs and grasses such as blue devils and kangaroo grass. We often see kangaroos, Cunningham's skinks and other lizards, and sometimes echidnas, as well as many different birds. If you would like to join our group, we'd love to have you along. It's very rewarding to see the difference we've made over the years. If you are interested in finding out more about the POSM group please contact Lauren on 0478 222 238, or email lauren.carter@iinet.net.au. See Lauren's beautiful photos on Flickr here, and look in the POSM album. Photos from December 2014 here. Photos of (mostly) plants taken from September to November 2014 here. Photos taken June and July 2014 here. Photos taken May 2014 here. Photos from March 2014 here. Photos from February 2014 here. See a plant list and photos taken October 2013 here. See plant photos taken September 2013 here. Thank you to Andrew Hore for our beautiful POSM logo.